This Federal style pattern was one of many wallpapers discovered during the 1917 restoration of the first Harrison Gray Otis House, in Boston. According to Richard Nylander’s Wallpaper in New England, it was chosen by the original owners for a chamber over the office. 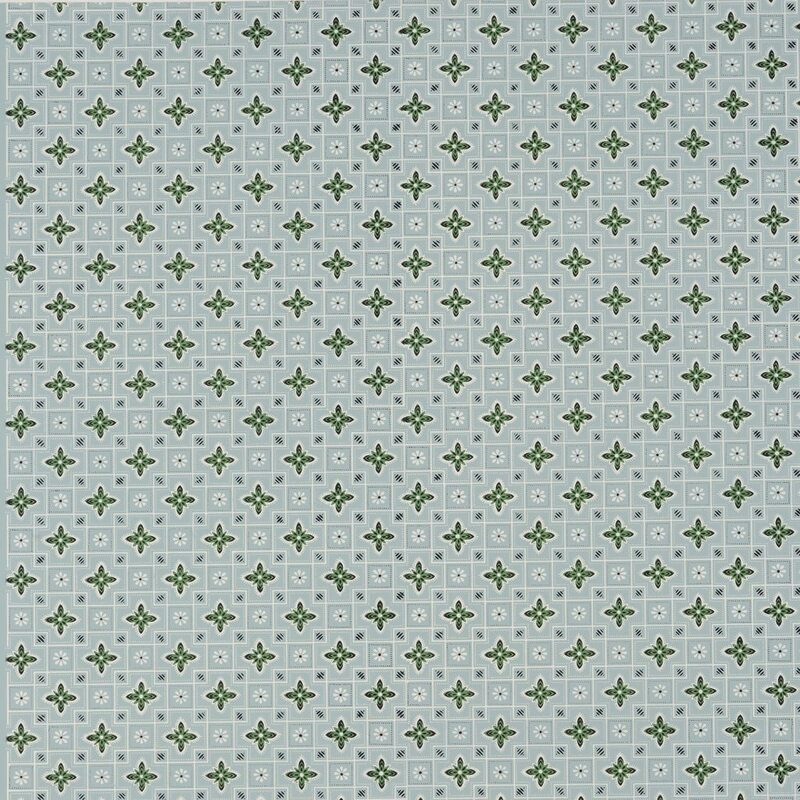 This late 18th century geometric design appears at first glance to be a simple, two dimensional arrangement of squares and stars with embellishments. At the same time, these elements are combined in such a way that there is a surprising three dimensional quality to the overall design. This illusion is even more pronounced in the alternate colorways shown above. Imperial Measurements: Repeat 3 ⅝ inches, width 18 ¼ inches, length 11 yards, straight match. Metric Measurements: 9.2 cm, 47 cm, 10 m.